Transport to Holland needn’t be stressful, least of all when finding delivery to Holland – after all, the Dutch are pretty laid back. This doesn’t mean that they’re blasé about imports though, your goods might still be subjected to scrutiny at customs and there are other complications that can arise when transporting internationally. Setting up your goods for international transportation is not that different from moving them to the next town. You should always take good care and attention when preparing your items to be shipped as this will help prevent any damage. The alternative is to have the courier pack your goods, which can be beneficial as it makes them more liable should a breakage occur. Before you get your items packed and shipped (or delivered if shopping for them online) you should make sure to check them over thoroughly and document their condition. Taking photographs can be very helpful in identifying whether or not damage has been incurred during transport to Holland. Pictures will help in any insurance claims that you have to make in the unlikely event that your item is damaged during transportation. Making sure that your items are properly protected is the most important preparation you can make before shipping your items to Holland. Different items obviously require separate approaches to packaging, flat screen TVs need a great deal more padding and care taken with them than a wooden sideboard or some gym weights for example. Keeping things tightly packed together with small layers of padding for things like crockery is the best way to go about avoiding damage when shipping your goods. Keeping everything in boxes also helps to avoid breakages to any protruding edges. Delivery to Holland is going to cost a bit more than transport to Tunbridge Wells – the sheer mileage, ferry costs, toll roads and customs and excise duty should all be considered when you’re looking for a courier to Holland service. When you’re seeking a professional courier to Holland it can be hard to know what to look for. Your first question should be: “what exactly am I transporting?”A car or a piano is going to require a great deal more expertise to transport than some furniture or a pile of records! So it’s important to decide what level of specialism your consignment will require before you start searching for transporters. Any removal or man and van service to Holland will be able to handle the vast majority of delivery requests. 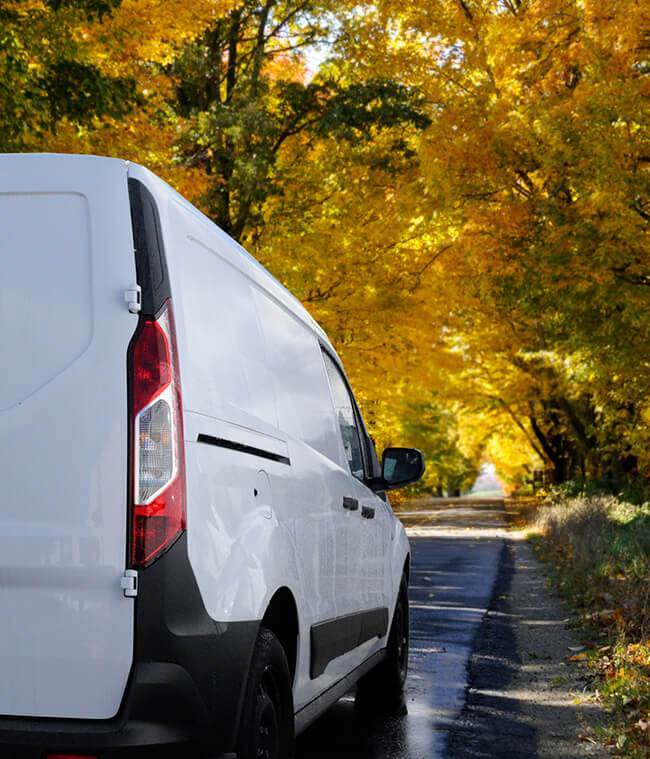 What’s more, these services tend to charge a lower rate than the specialists – with a generic delivery service it’s important that you do your research around the company before you commit to the courier to Holland service. Insurance cover: Hiring a transporter without insurance is as good as throwing your delivery on a bus and hoping that it finds its way to its destination. Basic courier cover will protect the contents of a delivery vehicle up to the value of ten thousand pounds, that’s €12,255 in Dutch money. Accreditation: Finding a reliable courier can be as simple as finding one that’s registered with a recognised association of delivery drivers. Whilst a good number of independent couriers that deliver to Germany are legitimate, being a member of a regulatory body does indicate a certain standard of service. Language: Sometimes it can help to find a courier that is bilingual when making Dutch deliveries, getting one that only speaks English is of course fine but it can only help if your driver speaks the native tongue. Reviews: Knowing a bit about your transporter before you hire them is always beneficial, after all you don’t want them running off to Utrecht with your precious cargo. Online reviews are a great place to find out whether a courier service is trustworthy or not.